After a three-year long lawsuit, Monsanto has been charged and ordered to pay more than $80 million in damages to Edwin Hardeman, CNN reported on Wednesday. The California resident claims that Monsanto’s herbicide Roundup, which is the corporation’s brand name for glyphosate, caused his non-Hodgkin’s lymphoma. The jury agreed that Roundup was a significant cause of Hardeman’s cancer, and that because Roundup does not come with a cancer-causing warning, Monsanto should be legally held responsible. As the New York Times explained, Hardeman used Roundup on his property for 26 years. He was diagnosed with non-Hodgkin’s lymphoma, which is a cancer that starts in the lymphatic system, in 2015. Shortly after, the World Health Organization (WHO) announced that glyphosate is a possible carcinogen, which means it promotes the formation of cancer. Once the 70-year-old learned that, he sued Monsanto. Jennifer Moore, one of Hardeman’s lawyers, told the New York Times that Monsanto has been ordered to pay Hardeman $75 million in punitive damages, $5 million for his suffering, and $200,000 to cover his medical costs. 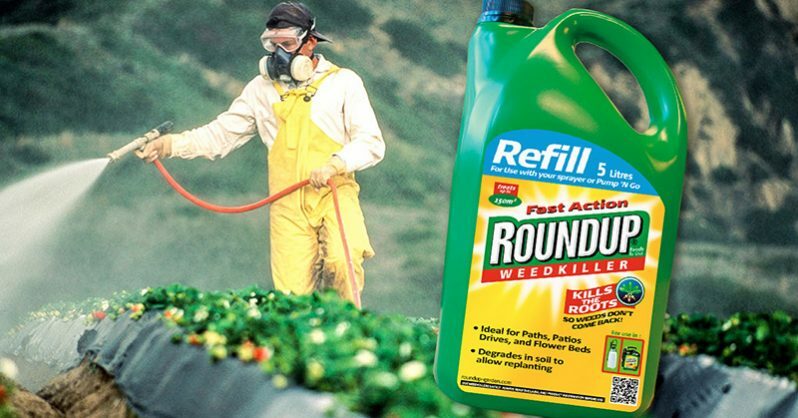 The research as to whether Roundup causes cancer is all over the place. Glyphosate is the most widely used herbicide on the planet, and WHO’s study, as published on The Lancet, found that glyphosate is carcinogenic in humans and animals. Not to mention, evidence that Roundup is a carcinogen dates back to 1985, when the U.S. Environmental Protection Agency declared Roundup as a Class C Carcinogen, Sustainable Pulse reported. Big box stores are starting to take note of these risks, and Costco recently announced it will stop selling Roundup in U.S. stores, according to Inhabitat. In contrast, other studies have found that glyphosate does not cause cancer — but it’s important to consider the source. For example, the American Council on Science and Health asserts that glyphosate is not carcinogenic, or that it only presents small risks of cancer. However, the American Council on Science and Health is known as a front group for American industries including chemicals, tobacco, and fossil fuels, as explained by the public interest nonprofit U.S. Right to Know. That said, this is not the first time Monsanto has been charged with causing cancer in someone exposed to Roundup. In 2018, a jury ordered that Monsanto pay $289 million (which was later cut down to $78 million by a judge) to Dewayne Johnson, a man who was drenched with Roundup after his sprayer broke while on the job as a school groundskeeper. Johnson was diagnosed with terminal non-Hodgkin lymphoma following the incident. As TIME reported, during Johnson’s trial, evidence showed that Monsanto had ghostwritten reports defending the safety of glyphosate. Taking that into account, it’s no surprise that Monsanto’s parent company Bayer is already appealing Hardeman’s award. “Bayer stands behind these products and will vigorously defend them,” Bayer in a statement on its website. And unfortunately for Monsanto, many cases and trials await the corporation in the future. As CNN noted, around 11,000 other people with non-Hodgkin lymphoma are in the process of suing Monsanto, alleging that Roundup caused their cancer, with trials currently pending. Basically, Edwin Hardeman’s case is not the last one you will see against Monsanto.